The top contract labs in the world use LabVantage, the most modern enterprise LIMS in the market, to reduce overheads, cut costs and apply consistent processes. LabVantage ensures that you get satisfied clients who find working with your company seamless. Is your current LIMS slowing you down? Are you trying to harmonize your processes and stay compliant? LabVantage lets you implement consistent processes across sites, globally and gives you a clear management view. Do complex, hard-to-use LIMS applications slow you down? LabVantage reduces manual data entry by connecting with instruments and systems. Step-by-step workflows reduce learning time. Does your current LIMS use obsolete technology making it hard to support? LabVantage is browser-based with no plugins or applets. LabVantage uses standard Java EE application servers and modern databases. Are you looking for ways to increase efficiency and reduce costs? LabVantage gives you a clear management view across sites. Reduce turnaround time by adopting internal and industry best practices. Does your system help you search and trend data? LabVantage comes with advanced search and trending capabilities so that you can get your job done more easily and faster. Do you manage multiple systems creating data silos and inconsistencies? LabVantage can be centrally hosted for global deployment and can support hundreds of concurrent users. Implementing a LIMS doesn’t need to be a complex, lengthy experience. LabVantage offers different LIMS editions for contract labs. Choosing the right LIMS edition will ensure that you meet your business objectives without cost overruns or delays. Ideal for quality labs in non-regulated environments that want to go live fast. Ideal for smaller quality or analytical testing labs that want predetermined standard workflows. Ideal for quality labs in a regulated environment looking for a prevalidated solution. Ideal for enterprises. Flexible enough to handle complex requirements. LabVantage 8 provides out-of-box support for contract labs. 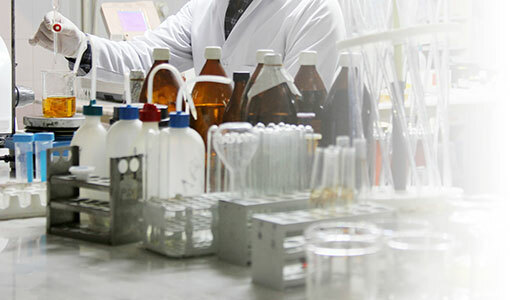 LabVantage lets you manage the sample lifecycle, optimize laboratory execution, perform data retrieval, interface instruments and systems, and enable security and auditing. Thousands of labs across the globe use LabVantage to power their laboratories and increase efficiency. Our customers span across industries and range from the Fortune 500 to startups. Please download our datasheets to learn more about LabVantage. For a full list of datasheets, please visit our Product page.